Universities serve to nurture humanity and, to that end, Avicenna stands at top. This time, AU professors and students have entered international competition, surpassing others. South Asian Association, an organization for regional cooperation, participated by eight South Asian countries, undertake joint political, economic and cultural activities. The cultural arm of the Association has established a great university in New Delhi, India. On an annual basis, the university provides scholarships at Bachelor’s, Master’s and Doctoral levels for member countries through a competitive process. Fortunately, during this year’s admission process, Avicenna stood at top of all applying universities in Afghanistan. 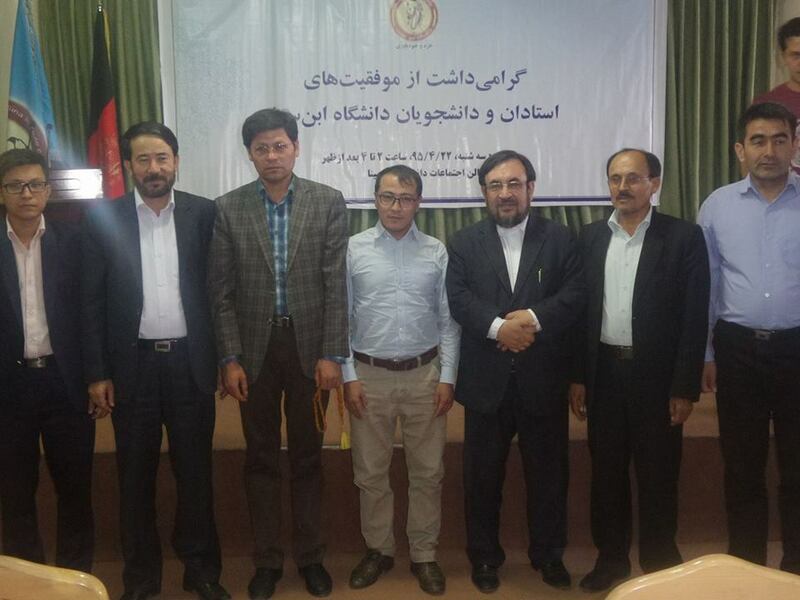 Amongst more than 300 applicants, Mr. Mohammad Reza Rezaie, an AU economics graduate, gained the highest score and secured a seat to do Master’s program in development dconomics in SAARC University. Mr. Mohammad Anvar Amani, also an AU business economics graduate, was accepted to continue his Master’s studies in development dconomics. 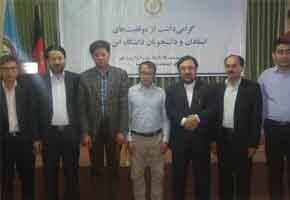 Mr. Yasa Hakimi, an AU sociology graduate, was also admitted to SAARC University. Furthermore, Mr. Nematullah Haidari, an AU sociology graduate, through a competitive process, received a scholarship in Bishkek University. Mr. Hadi Ahmadi, an AU Computer Science student, was also admitted to SAARC university to do a Master’s degree in Computer Science. Mr. Ahmad Shah Mobarez, a distinguished professor of AU Economics, was selected for the Fulbright Doctoral Fellowship. To celebrate afore-mentioned academic accomplishments by AU professors and students, Avicenna launched a celebratory and award giving event in AU auditorium, participated by AU chancellor, the deans of faculties, faculty members and students. Speakers included Dr. Mohammad Amin Ahmadi, AU chancellor; Professor Mohammad Amir Noori, the D ean of Economics Faculty; and Professor Ahmad Shah Mobarez. The event was concluded by giving awards to students and professors.